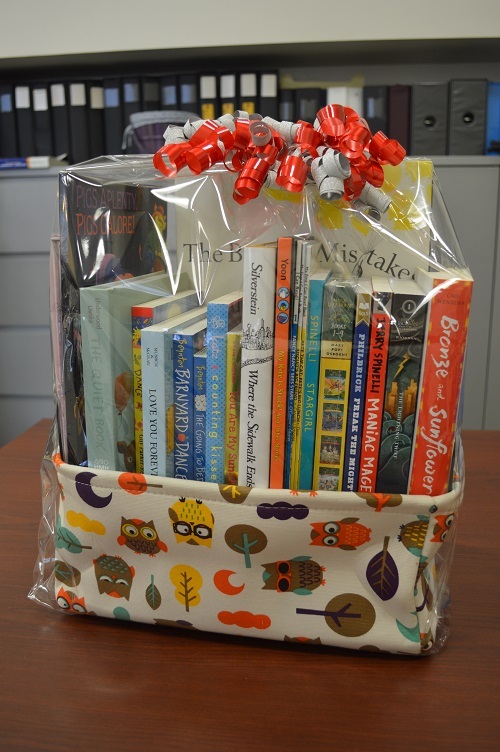 Thank you to library staff who contributed to the Falvey basket for the Office of Health Promotion’s 22nd annual Basket Fundraiser! Stop by CAT’S (Campus Activities Team) Holiday Bazaar on Friday, December 7, from 10 a.m. to 6 p.m. in the Villanova Room to bid on Falvey’s basket of children’s books and many others. Proceeds from the event will be donated to The Ronald McDonald House, Chestnut Street, Philadelphia.